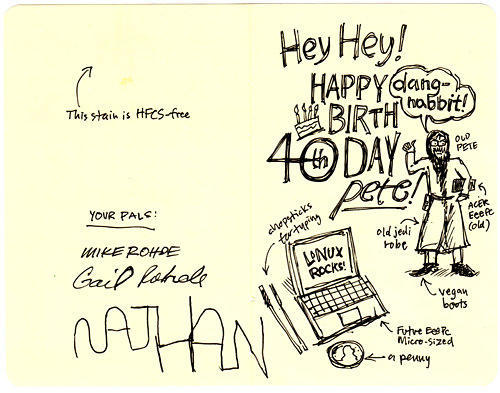 And hey, there’s also this cool “Sketchnote” card from world-famous Sketchnoter Mike Rohde, how cool is that!? Anyway, I’ll try not to write too many more posts about the fact that I am totally ancient now. I mean, Dave Winer is way older than I am! Posted on Friday, June 19th, 2009 at 8:00 pm. Subscribe to the comments feed. Both comments and pings are currently closed. Post on your own blog.